High-speed internet mainly via Wifi is what people nowadays thrive on. 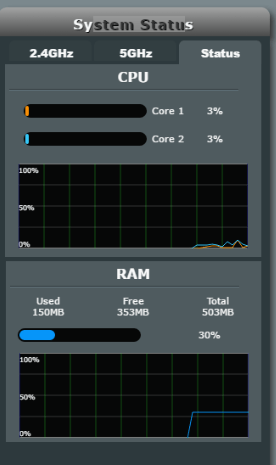 All the apps are just feeding on Internet choking all the bandwidth. May it be office or home there is a huge amount of data flowing through the router. Now the main problem is faced by the network engineer who’s sole job is to keep the network running. A good router is what he needs in this kind of situation which will make his task easier. ASUS has got a router that will be great to handle this kind of traffic. So today I will tell you about ASUS RT-AC88U router specifications and review it in detail. Let me tell you that it is a dual band gigabit router. Let us find out what it means. What is Dual Band Router? Dual band is the new feature that was introduced with new ‘ac‘ standard. The normal home router only has 2.4GHz Wifi channel on which most of your devices work. Dual band means having a 5GHz channel along with 2.4Ghz. The new channel has got more bandwidth and it creates a data stream with the devices. In simple terms good bandwidth distribution and high speed of data exchange. You will get good speed on all devices no matter how many devices you connect. Previous I had like 12 devices connected on my triple antenna tplink router. Most of the time the router would like just hang and stopped working. But with this router it can easily handle 12+ devices. So enough with the theory of dual band, let’s go ahead and unbox this monstrous router and check out the specifications. You can watch the video of unboxing, do like and comment your thoughts on it. 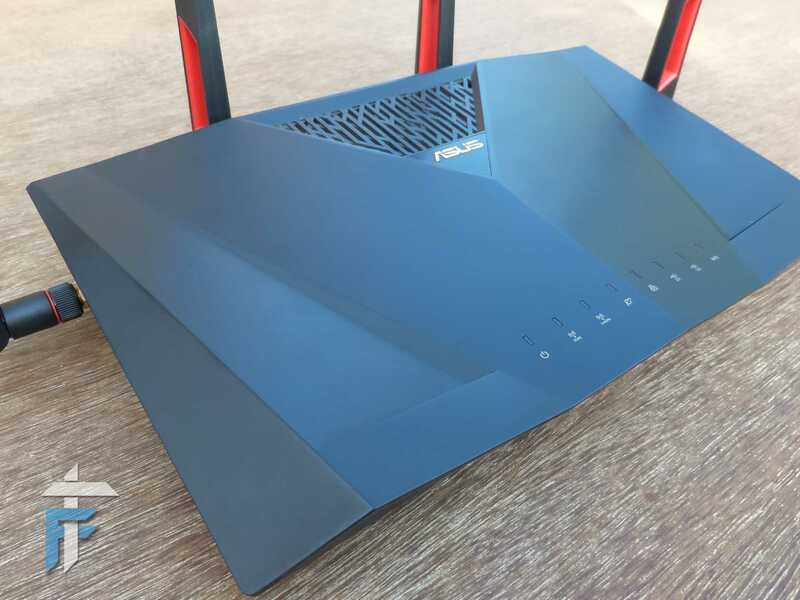 The router comes with this amazing monstrous looking design. It has 4 antennas which looks just great with those red notches. The two antennas are attached on the back and the other two on left and right. The size of router is almost the double or triple if we compare it with the normal home router. On the top we have some LED indicators for power, Wifi, WAN, ethernet, WPS and Internet. On the front-left there is the USB 3.0 slot inside a small compartment. On the front-right there are two buttons one to toggle Wifi and the other one is to toggle the top LEDs. Moving on to the back we have the power push button, 12V DC-In jack, WAN input port, the 8 gigabit high speed ethernet ports, the WPS button and lastly the reset button. The router design lacks in only one thing i.e. some red LEDs. It would have been just great if there was like a red light coming out from the top and side air vents. I really expected that when I first saw the router box. Well you need to know this that the router is also kind of a small PC processing all our data and doing some geeky stuff. The ASUS RT-AC88U comes with a dual-core processor clocked at 1.4GHz and 512 MB of RAM, 128 MB of flash storage. It takes almost 2 mins for the router to boot up with all its Wifi and WAN running. There is also lot of heat produced so you need to make sure that you keep the router on a flat surface and not covering the air vent. As I told you about the dual band and 4 antennas, that all helps the router to manage traffic in a better way which is its specialty. But remember if you have an ac router already, then you wont get like better speed and all. Before upgrading to this one, make sure that you really have a traffic issue or else it will be of not much use. Yes this router will help you for Gaming and 4K streaming. Time to check out all the features. Traffic analyzer – Shows data consumption for each app for each client according to date. Amazing tool for analyzing the bandwidth usage but didn’t work at my place for some reason may be a bug in the firmware. USB application – Yes we have USB 2.0 and USB 3.0 where you can connect external hard drives, USB drive, printer, USB dongle and even an Android phone for internet sharing. Share the disk online or on the network make media servers or share printer over the network. Though what I personally feel is the data transfer speed when you connect a device using USB is very slow. It needs a lot of work to make sure that the media files from USB device can be streamed on the network. Smart remote access and smart sync are some other features to sync the data to ASUS webstorage. DMZ can always redirect all the incoming traffic to one machine elimiating the need of port forwarding every time you want to access some application remotely. Dual WAN – This is a cool feature ensuring that your internet is working even if the primary WAN fails. Yes that means you can have two connections and in case the first one fails, second one will be used as the backup option. These are like all the features of the ASUS RT-AC88U gaming router. You can just head on to WTFast website and download their software to boost the online gaming speed and decrease latency. Well I know you are all happy with features and device of this device. But here is the part where it may decrease the amount of happiness as this router is priced at 300$ approx. It is available on Amazon for 274$. Yeah the router is overpriced and you need to think before you upgrade. Overall I liked the design and the performance of this router. On the software side the bugs like traffic analyzer and traffic limiter should be fixed as this was totally not expected with the latest firmware. If you have a high budget and you don’t already own a ‘ac‘ router then definitely go for this router as it will not disappoint you. The review device is gone and I am feeling the void from now on. So this were the ASUS RT-AC88U specifications and review in complete detail with unboxing. 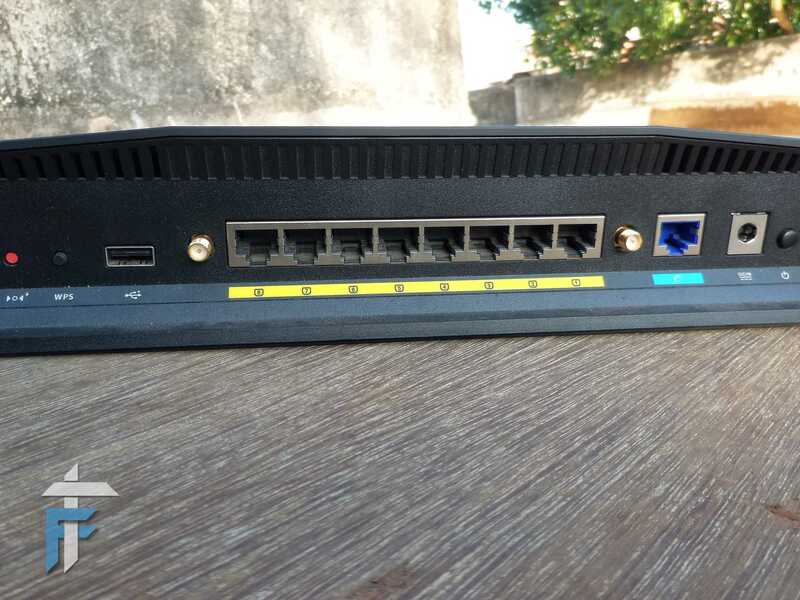 Let me know if you have any doubts about this router or may be its feature in the comments section below.